Today’s post was submitted by Historical Interpreter, Devin Eeg. For sites dedicated to preserving the past, museums and national historic sites sure go through a lot of change. At the Gulf of Georgia Cannery, we’re celebrating the second week of our new temporary exhibit Ryoshi, which traces the history of Japanese fishing on B.C.’s coast. Meanwhile, upstairs in the can loft, we’re doing something of a different nature: de-accessioning old artifacts from our collections to clear up some space and filter through objects that are less pertinent to the mandate and have accumulated over the building’s 119-year history (picture “Cans Through the Ages,” a temporary exhibit showcasing the Cannery’s extensive collection of toilet bowls…not likely to happen so long as our sense of dignity prevails). But while most of the work upstairs is unlikely to ruffle any feathers, decisions about what to include or remove from collections can often be controversial. Case in point: the Canadian Museum of Civilization in Gatineau, Quebec’s recent decision to remove the wooden gill netter “Nishga Girl” from one of its permanent displays. 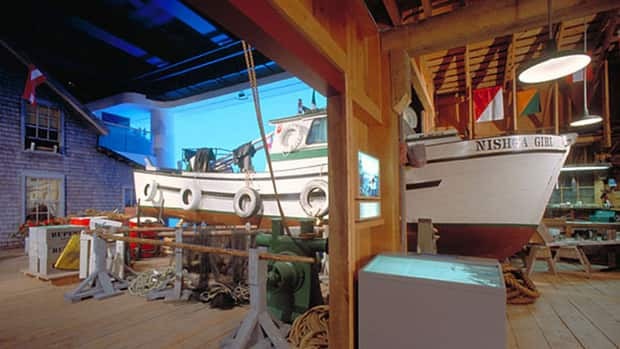 Sailed near Prince Rupert for 22 years until 1990, the boat was until recently the museum’s centrepiece in a display dedicated to the history of salmon fishing and canning on the west coast (inspired by none other than the town of Steveston). Its removal means that visitors to Gatineau will be learning a little less about the diverse history we interact with in all its vicissitudes at the cannery. Equally central to the controversy, however, is the history of the artifact itself, which was donated to the museum in 1998 by Nisga’a Chief Harry and Deanna Nyce with contributions from the Japanese-Canadian community towards transportation costs. Needless to say, some are displeased with the decision. Ken Noma of the National Association of Japanese Canadians, for one, has called the move “a tremendous insult,” adding “If you were to have a gift returned to you, how would you feel?” So, blog readers, what do you think? Is the removal of the boat just a normal part of museum life? Or is it simply too important, for historical or moral reasons, to get rid of?